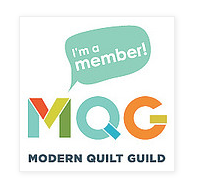 Thanks to Jude, my sew mate and friend, for posting this to her blog about our group, SewIMQs, and our charity quilt for QuiltCon West 2018! It is a pleasure and honor to be working with these gals in our tiny group! Thanks, Laurie, @langdon 13; Adrean, @quiltfabulous; and Jude, @judemadeit! The link to Jude’s post is below the picture. Check it out for more pictures and details!